This is a record of most of the changes and new additions that have been made to the website over the past few months. I added another galaxy (Ursa Major II) to the map of the Satellite galaxies, (and this one). And I added it to the list of Local Group galaxies. I also added three more galaxies (Andromeda XI, XII, and XIII) to the list of Local Group galaxies. 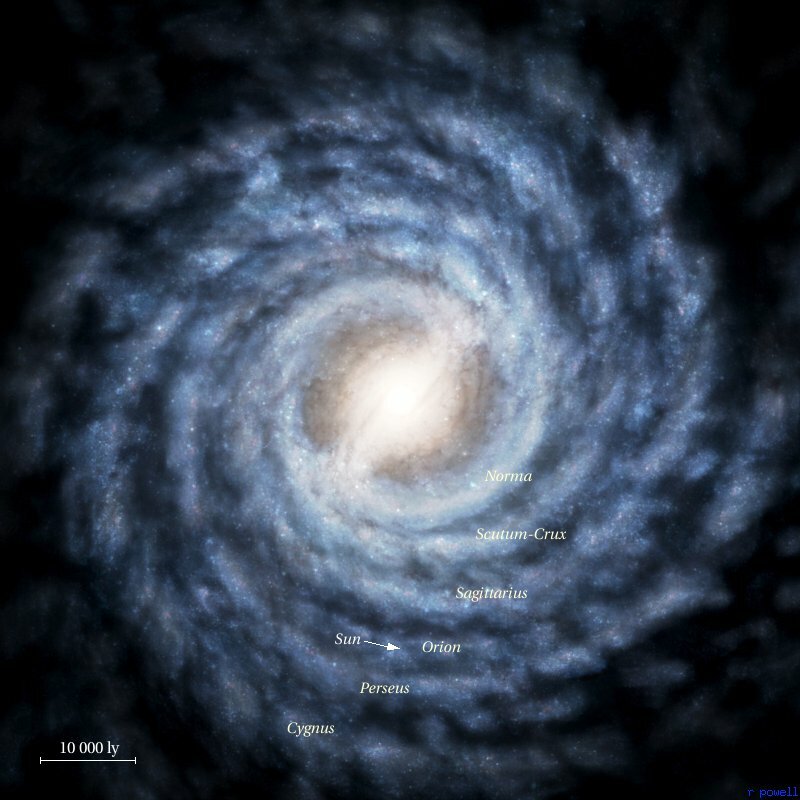 I have replaced the Map of the Milkyway Galaxy with a new version (1, 2). I added a proper copyright statement to my website. I added two more galaxies to the list of Local Group Galaxies (the Boo and CVn dwarfs), and I updated my maps of the Local Group (1, 2) and Satellite Galaxies (1, 2). I decided to double the number of dwarf galaxies in the Virgo Supercluster, Neighbouring Superclusters, and the Visible Universe to 50 000, 60 million, and 7 trillion (7x1012), respectively. This website was translated into Turkish!. I resurrected the Spanish and Catalan versions of this website. I have revised and updated the list of the nearest stars, and the 20 light years map (and this one). I have also revised the list of Local Group galaxies. I created a page showing some typical multiple star orbits. I created a short page about the Cosmic Microwave Background. I also mapped the entire night-sky onto the sides of a 26-sided polyhedron. Oh, and I also changed the wallpaper(1, 2) on this website. 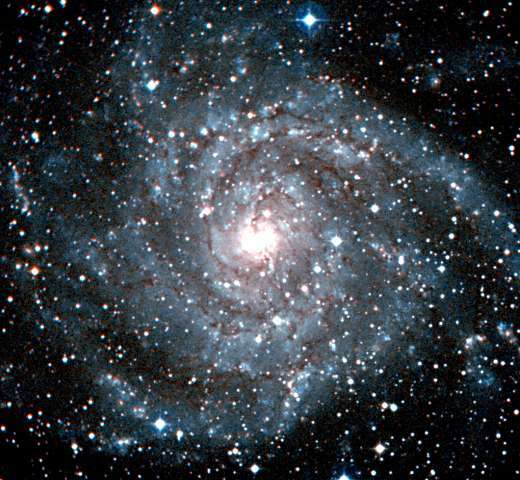 I increased the number of stars within 250 light years to 260 000 and I doubled the number of stars within 5000 light years to 600 million. I increased the number of stars within 500 000 light years to 225 billion. I increased the number of galaxy groups within 100 million light years to 200, but I decreased the number of stars to 200 trillion (2x1014). I increased the number of superclusters within 1 billion light years to 100 and I increased the number of galaxy groups to 240 000, but I decreased the number of stars to 250 000 trillion (2.5x1017). 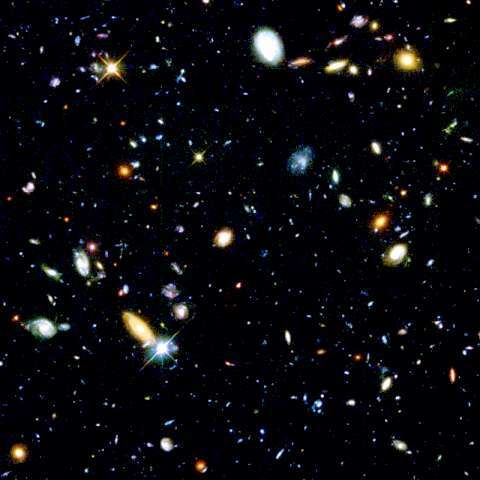 In the visible universe there are 10 million superclusters, 25 billion galaxy groups, 350 billion large galaxies, 3.5 trillion dwarf galaxies and 30 billion trillion (3x1022) stars! Epsilon Indi is now known to be orbited by two brown dwarfs. I had to change the description of the star and update the list of the nearest stars. 250 000 visitors have now visited this website. I added 3 more galaxy pictures to the bottom of the Maffei Group page (and I also swapped the IC 342 picture with a better version). I added 3 more galaxy pictures to bottom of the M81 Group page. I replaced the picture of NGC 55 on the Sculptor Group page with a larger version, (and I added a picture of ESO 471-06). I added 3 more galaxy pictures to bottom of the page about the NGC 5128 Group. the Leo II Groups and the Virgo III Groups. and I wrote an additional page about the Virgo II Groups. Joan Giron�s translated this website into Catalan! The Portuguese version of this website also changed to a new address. the Virgo Cluster the Ursa Major Groups and the Fornax Cluster. the Sculptor Group, the Maffei Group, the M81 Group, the Canes I Group, the NGC 5128 Group, the M101 Group, the Canes II Group, and the Leo I Group. I rewrote the Links page. I created a page about the Distance Scale of the Universe. This means that all references to '15 billion' have been changed to '14 billion' on the index page, the visible universe page, and the big bang page. These arrows on the index page were changed. The zoom out and zoom in buttons on the superclusters page and the visible universe page were also modified. The text about ''The Size of the Universe'' on the visible universe page was also rewritten. I changed the table code on the index page to make it look better. The Polish version of this webpage changed to a new address. I created a page about the North America and Pelican nebulae. I created a page about the Eagle and Omega nebulae. (I also combined these two nebulae together into a single page). On the Coma supercluster page, Margaret Geller's webpage vanished, but I found an alternative. On the Shapley supercluster page, Harlow Shapley's Note on a Remote Cloud of Galaxies in Centaurus, and his map moved to a new address. On the Horologium supercluster page, Harlow Shapley's Catalogue of 7889 External Galaxies in Horologium and Surrounding Regions, and his map also moved to a new address. I created a page about the Lagoon and Trifid nebulae. (I decided to combine these two nebulae together into a single page). I created a page about the NGC 3576 nebula. Oh, and 54 Piscium at 36 light years is now known to have a planet. A brown dwarf companion to Epsilon Indi was discovered. I included it in the list of the nearest stars, and I mention it in my description of Epsilon Indi. I created a page about the Eta Carinae nebula. Michael Grochowiec translated this web page into Polish! I created pages about the Heart and Soul nebulae, the California nebula, the Orion nebula, the Rosette nebula, and the Cone nebula. I added an all-sky plot of every star visible with the naked eye. I also added an additional picture of the Shapley supercluster at the bottom of this page. I added a much larger version of my map of the Galaxy here. And I replaced the image at the bottom-left of this page. The previous picture was the wrong Pavo cluster! I added an all-sky plot of the 60000 brightest galaxies. I added a better map of the Virgo cluster. And I added an infra-red picture of the Milky Way. I created pages on the Hercules supercluster and the Leo supercluster. I created pages on the Hydra supercluster, Centaurus supercluster, Perseus-Pisces supercluster, Pavo-Indus supercluster, Coma supercluster and the Sculptor superclusters. Ramiro Clavijo translated this web page into Spanish! On the list of Stars within 50 Light Years, HR6094 is now known to have a planet and Rho1 Cancri is now known to have 3 planets. I changed the Dark Nebulae page - I replaced the map with a new version which includes southern hemisphere objects. I changed the list next to it. I also added a second diagram of molecular clouds. And I replaced the picture of the Pipe Nebula with a better version. I added a few extra dark nebulae to this map. I revised the list of The 200 Brightest Stars, especially the star names and the spectral classes. I also replaced the picture at the bottom of the page with a picture of Orion's belt. I added a plot of our part of the Galaxy within 20000 light years. I also made a Hertzsprung-Russell diagram by plotting 23000 stars from the Hipparcos and Gliese catalogues. I added one more star (LP 656-38) to the maps [1, 2] and list of stars within 20 light years. 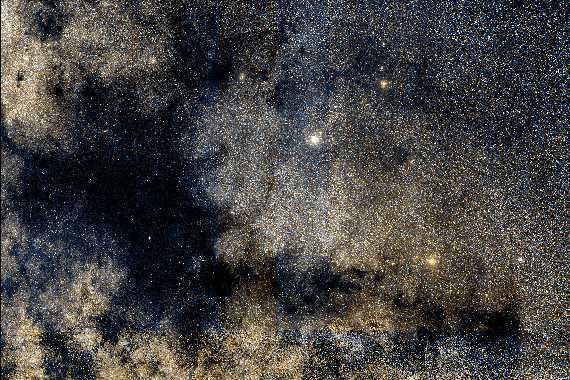 There are now 110 stars within 20 light years in 79 star systems. This website was translated into Serbian! I rearranged and partially rewrote the page on The Expansion of the Universe to make it clearer. I created a page explaining all about The Expansion of the Universe. I added a map of the universe within 200 million light years. I also modified the description of the Centaurus Supercluster. A3526 is the dominant cluster, not A3565. Norbert Rumiano translated this site into French! I rewrote some of the descriptions of nearby galaxy groups. I also changed the picture caption at the bottom of this page. I completely revised the map of the Nearest Galaxy Groups and I also revised the list of nearby galaxies underneath it. I also added a list of the 200 Brightest Galaxies. I also added a map of the Hyades star cluster. I redrew the Visible Universe map (and this one), and I also replaced the Hubble Deep Field picture with a larger version. I also modified the 1 billion light years map (and this one). I added this Glossary page. I changed the 20 light years map (and this one). I added two new 'DENIS' stars to it but removed the Wolf 630 system which probably lies at 21 light years. I also revised the List of the Nearest Stars. I also added this picture of Proxima Centauri. I made minor changes to the 50 light years map (and this one) and revised the list of the stars within 50 light years (especially columns 6, 11 and 12). I also added a picture of Capella at the bottom of the page. Redrew the Orion Arm and also added an all-sky plot of the 25000 brightest, whitest stars. Also created this Recent Changes page. Revised and redrew the other picture of The Galaxy. Added this diagram that zooms out from the Earth to the nearest stars. I redrew the Milky Way yet again to make it even more accurate and incorporate new information about the shape of the central bar. Completely revised and redrew the Map of the Milky Way. New! A Map of Superclusters within 2 Billion Light Years! Added a detailed map of the Orion Arm within 2000 light years. Completely revised the map of the nearest galaxy groups and added a list of the nearest bright galaxies. Revised everything on superclusters. Redrew the 1 billion light years map, rewrote all of the supercluster descriptions and revised the list of the nearest superclusters. Hooray! 10000 hits on this page since last August. New! A map of superclusters within half a billion light years. Added some nebulae and star cluster pictures. Added a bit of colour to the picture of the galaxy. And added a Map of Dark Nebulae. Added a map of the nearest galaxy groups. Added a map of all the naked eye stars within 50 light years. Revised the map of the Virgo Supercluster and added a map of the Virgo Cluster. Added some pictures of Local Group galaxies.